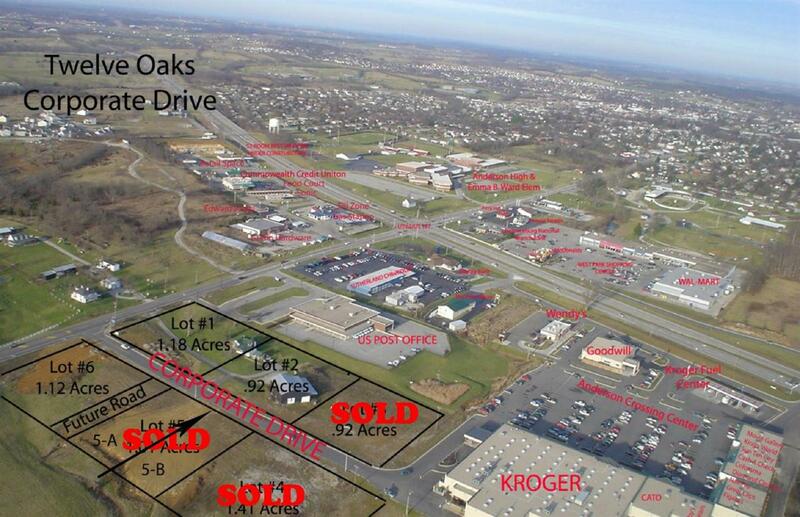 1000 Corporate Drive, Lawrenceburg, KY 40342 (MLS #1804891) :: Sarahsold Inc.
City water, sewer, gas, telephone and electric all available to the site. Located off of the 62 Entrance to Kroger/Anderson Crossings Shopping Center. Property is close to the US62/127 Intersection and the US Post Office. Todd Hyatt and Lois Ann Disponett, officers/owners of Twelve Oaks, Inc.are Licensed REALTORS in the State of Kentucky.